Here we have compiled this list on the basis of camcorder latest feature, Amazon customer review ratings, many expert reviews and camcorder price in-between $600 to $800. 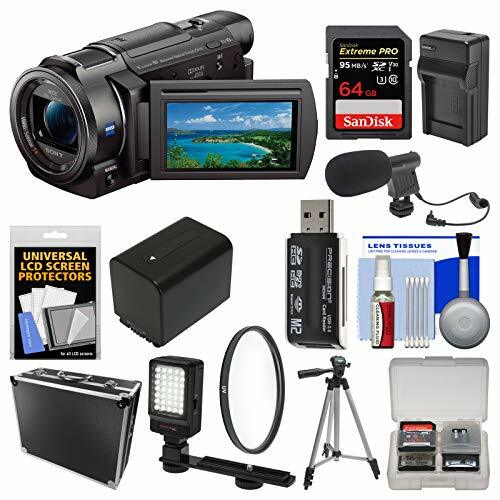 It’s apparent that you are looking for a camcorder that does match your preference and your budget and because you are on this page, we presume you do have a mood of spending an amount as genuine as $800, in case of camcorders. And the good news is you don’t have to lurk around the web anymore as we guarantee that the one you are going to choose among the five is going to be phenomenal. With a Sony camcorder by your side, you won’t need to spend a penny on mods. And on the list, you have three Sony cams, namely FDR-AX33, HDR-PJ540, and HDR-CX675. Let’s talk about the core features of these cams and how they stand up against each other. 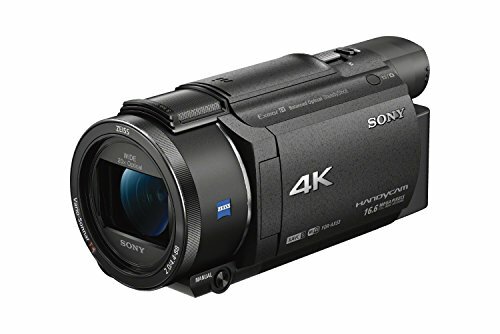 Although, the HDR-AX33 has a potential of recording 4K videos at 60FPS, it can also record 1080p at 60FPS just like the other two 1080p camcorders. The HDR-CX675 and HDR-PJ540 both are capable of 30x Optical Zooming and 60x Clear Image Zooming, while the FDR-AX33 has only 10x zoom. To stabilize the video even at high-zoom levels, all three have Balanced Optical SteadyShot Image Stabilization, and to handle the light content in the image, there’s Exmor R CMOS sensor to be found on each one of these. All three have multiple codec support including AVCHD, XAVC S and MP4 for your convenience. Other than the FDR-AX33 with an Xtra Fine 3-inch TFT LCD, the two have been fitted with a 3.0-inch Clear Photo Plus LCD. For connectivity and remote viewing, all three have WiFi/NFC wireless support. However, a letdown in case of FDR-AX33 is that it doesn’t have an internal memory whereas the other two have 32GB of Internal Storage. 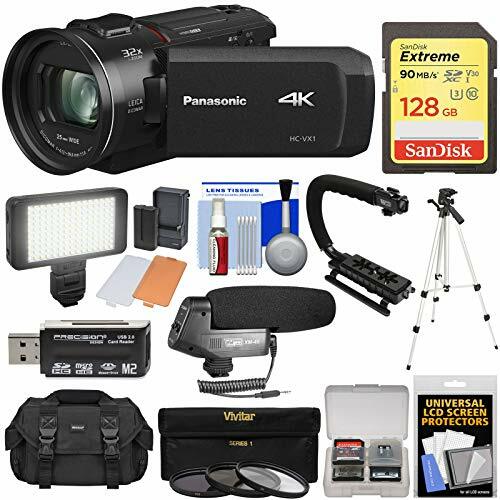 Another 4K camcorder on the list of best HD camcorders under 800 dollars is Panasonic HC-981K, which is equipped with LEICA Decoma Lens that supports crystal clear image even at 20x Optical Zoom and thanks to the 5-axis OIS technology, the image is still and blue-free every single time. And just as you record it, the in-camera cropping allows you to select the best and cut the rest. WiFi-based twin feature camera lets your smartphone participate in the picture-in-picture recording. 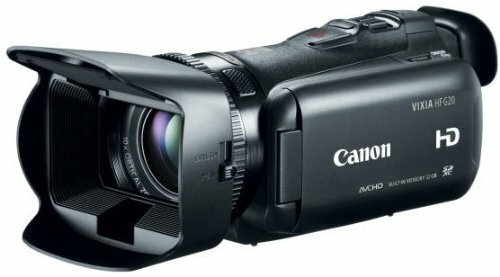 Canon is also part of this trade with its VIXIA HF G20 1080p camcorder with Canon HD CMOS Pro Image Sensor which vouches for 20% better low-light performance. Additionally, its near-exclusive Dynamic SuperRange Optical Image Stabilization and Intelligent Image Stabilization churns out a great picture or a video, every time you pull the creative trigger.